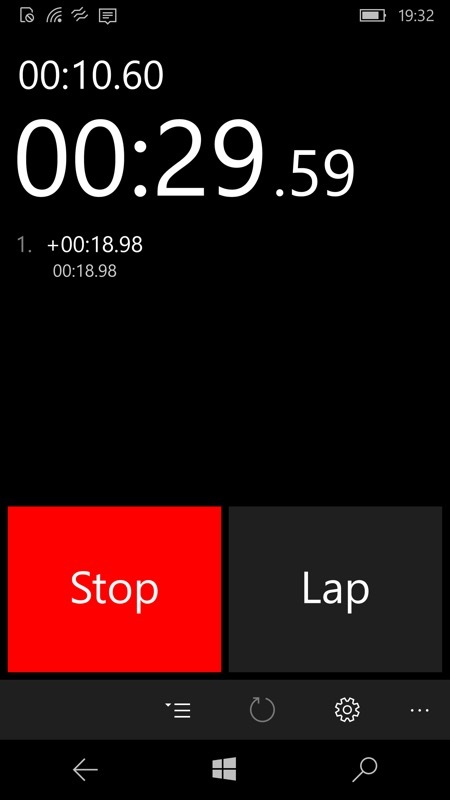 Simple and useful stopwatch. With sound and vibration on the button click. 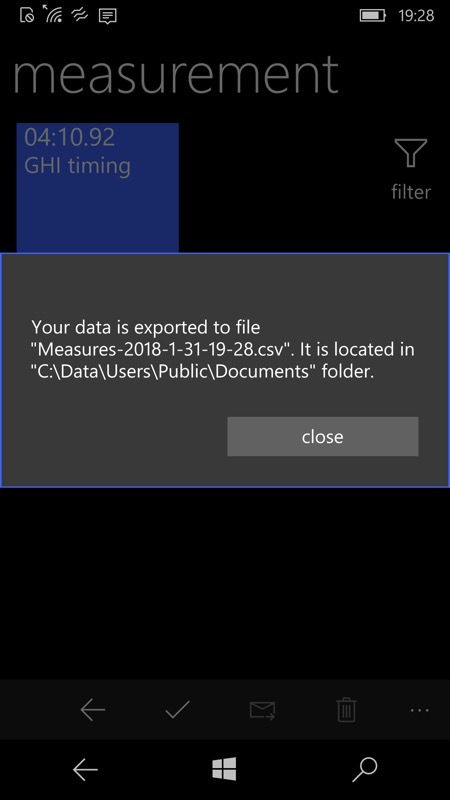 Keeping measures in memory. 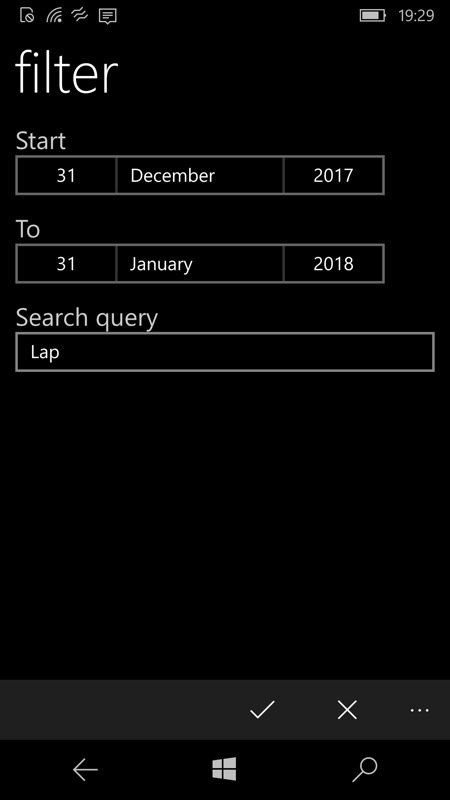 Responsive start/stop and lap controls, with lap times listed in a scrolling pane; (right) choosing to filter the timing history according to date and/or keyword. Timing logs can be renamed as needed and (right) even exported in CSV format for examination in Excel or similar. I tested the background operation and it worked just fine. So you can be timing a friend going round a track (etc. ), stop to take a phone call or check your Calendar, and when you switch back to Stopwatch Yokto it's still tracking time perfectly. 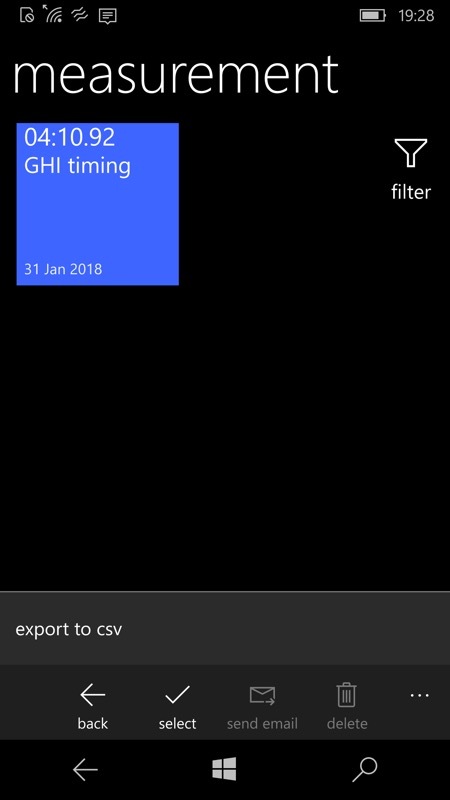 A nice little freeware UWP for all Windows 10 devices. You can grab this from the Store here.